Yin Yoga at BYC hot yoga! Yin Yoga is a slow, mediative style of yoga practised mainly on the floor. Postures are held for several minutes at a time so practitioners can access deep tissues, such as the connective tissue and the fascia. Many of the postures focus on areas involving joints i.e hips, sacrum and spine. Check out our timetable and to book your spot for up coming Yin Yoga classes at BYC hot yoga. If you are New to BYC hot yoga you have several options for your first class. Every month at BYC is unique so check out what is happening this month, with new deals, workshops and so much more. As well as hot yoga BYC has recently introduced Yoga Nidra, a form of guided mediation to help you relax and unwind. 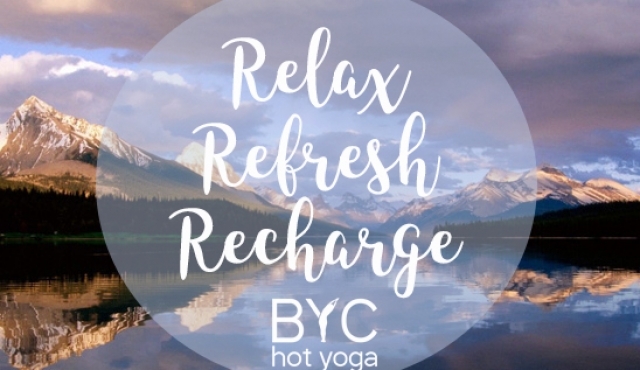 BYC Newsletters are packed full of information on BYC, hot yoga and so much more.